EPI warrants its products to be free of defects in material and manufacturing for 1 year from the original date of purchase. This does not apply to electrical components, non-EPI branded parts, normal wear or conditions resulting from misuse, abuse, negligence, accident, improper application, improper installation or alteration. 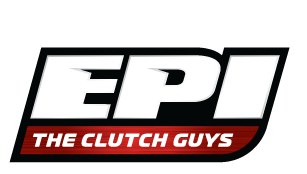 This warranty covers the repair or replacement of the EPI product in question only, and does not cover labor charges to remove or install the EPI part or any other part or component that may incur damage as a result of a defective EPI part. The customer is responsible for any labor charges involved in removing and replacing the defective part, and for shipping charges to return the defective part to EPI. BELTS: If, within 1 year of original PURCHASE date, the EPI belt fails due to a defect in material or manufacturing, a replacement belt will be provided by EPI upon inspection. 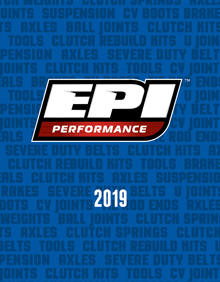 A $20 handling fee and certain conditions apply, please see your EPI belt sleeve warranty form or contact our Returns Department at 218-829-6036 for details, and request a warranty claim card. WHEEL SHAFTS & CV Joints: EPI Wheel shafts and CV Joints that are determined to have a defect in material or manufacturing will be replaced at no charge within 60 days of original purchase date. After 60 days and up to 1 year of the original purchase date a $25 fee will be charged for replacement. EPI Wheel shafts and CV Joints are designed for use on STOCK machines. If your machine is lifted in any way this may result in failure of the component that is not covered by warranty. A lifted machine results in a more severe CV joint angle and our replacement components are not designed to tolerate this increase in angle and may fail. Upon inspection, if any of the related signs of over-extended angles are present, the warranty will be void. Customer is responsible for shipping the failed component to EPI for warranty inspection. This one year warranty does not apply to damages caused by removal of parts, modifications to the product, normal wear and tear, damages caused by accidents, improper use of the product, improper installation of the product, misuse, neglect or improper maintenance. The one (1) year does not cover use of the product for racing or other competitive activities. The warranty does not apply to rental or commercial purpose uses. Electrical components are not covered under any warranty and cannot be returned once installed or connected to power. Electrical components include but are not limited to: switches, ignition coils, CDI boxes and regulators. Normal wear items: Normal Wear Items are not covered under warranty unless, within 1 year of original PURCHASE date, the EPI part fails due to a defect in material or manufacturing. In this case, a replacement part will be provided by EPI upon inspection. Normal wear items include but are not limited to: Ball joints, belts, brake pads and shoes, brake rotors, bearings, carbide runners, clutch rebuild kits, CV boots, seals, springs, suspension rebuild kits & components, slides, tie rod ends and u- joints. WARRANTY IS VOID on any vehicle that has been altered in any way to include performance enhancements to the engine other than the OE DESIGN. EPI reserves the right to make the determination if the part has been subject to normal wear, misuse, abuse, negligence, accident, improper application, improper installation or alteration, and all such determination shall be final. All warranty claims will be handled directly by EPI. To obtain service under this warranty please contact EPI for return authorization. Cost of removal, reinstallation, product pick up and delivery are the sole responsibility of the original owner. Retail customers must provide proof of purchase with in 1 year for warranty to be honored. ALL RETURNS FOR WARRANTY MUST BE PRE-APPROVED WITH AN RA NUMBER DISPLAYED ON THE BOX. PRODUCT MUST BE RECEIVED WITHIN 15 DAYS OF DATE RETURN AUTHORIZATION IS ISSUED. EPI has no control over the use of any part. EPI expects the customer to exercise good judgment as to the proper selection, installation, use and maintenance of any part. EPI assumes no responsibility for damage or injury of any kind because of normal wear, misuse, abuse, negligence, accident, improper application, improper installation or alteration of any parts in any way by any person. EPI reserves the right to make changes to the warranty policy at any time without notice. WARNING: This product can expose you to chemicals including nickel, which is known to the State of California to cause cancer, and toluene, which is known to the State of California to cause birth defects or other reproductive harm. For more information go to www.P65Warnings.ca.gov. WARNING: This product can expose you to chemicals including chromium, which is known to the State of California to cause cancer and birth defects or other reproductive harm. For more information go to www.P65Warnings.ca.gov. WARNING: This product can expose you to chemicals including carbon black which is known to the State of California to cause cancer. For more information go to www.P65Warnings.ca.gov. WARNING: This product can expose you to chemicals including chromium, which is known to the State of California to cause cancer. For more information go to www.P65Warnings.ca.gov.